Former Guatemalan Army General Efraín Ríos Montt appeared before Guatemalan Judge Carol Patricia Flores last Thursday, to answer to allegations that he committed crimes during the 1982-1983 period when he was head of state. ► Ríos Montt lost his Congressional immunity on January 17, and, as we’ve blogged about here and here. ► Attorney General Claudia Paz y Paz Bailey (prior posts) last year began aggressively prosecuting cases against military and police from the early 1980s, the period when a U.N.-sponsored Commission found that “acts of genocide” had been committed. ► Evidence and testimony produced by and for a parallel proceeding in Spanish courts (discussed here) provided useful evidence of tight command and control of forces operating in the remote Ixil region, where some of the heaviest civilian killings and destruction occurred; discoveries in the police archives showed police and military collaboration in forced disappearances in urban areas. This is great news, and was received as a step towards justice by family members of those killed, who showed up en masse at the confirmation-of-charges hearing. It will not be easy to gain firm convictions in these cases, despite the plethora of evidence of the crimes and of the defendants’ knowledge and participation. Ríos Montt is now 85 years old, and may try to get the case dismissed on grounds that he is too old and ill to participate in a trial (even though until two weeks ago he was apparently capable of being a Congressman…). That was the tactic successfully used by another high-level defendant, Héctor Mejía Victores, whose case was suspended on these grounds. Two other generals, Mauricio Rodríguez Sánchez (former head of intelligence) and Héctor Mario López Fuentes (former army chief of staff), remain under arrest in a military hospital, while former chief of operations General Luis Enrique Mendoza Garcia remains at large. 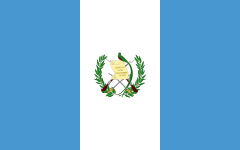 Even if the case goes forward, Ríos can be expected to mount a vigorous defense, including taking advantage of the multiple opportunities in Guatemalan law for delay as interlocutory appeals go up and down the system. He has already said that he is not guilty because he was not at the scene of the crimes nor involved in meetings to commit crimes. Nonetheless, judges might look at the legal theories used in the prosecutions of former Peruvian President Alberto Fujimori, and of the Argentine generals (prior posts available here), for Latin American examples of criminal responsibility imposed on heads of state and government for crimes under international law. A further wild card is the attitude of the new President, Otto Pérez Molina, who took office just a couple weeks ago. Pérez Molina is a conservative with his own shady military past – he operated in the zone where the allegations of genocide are based, and he was head of military intelligence and implicated in forced disappearances. Nonetheless, he has said he operated in the Ixil area to clean up the mess left by others, he has publicly supported Attorney General Paz (right), and he has also said he will approve Guatemala’s imminent ratification of the Rome Statute of the International Criminal Court. Whether this is Guatemala’s own “Nixon to China” moment, or a cynical attempt to maintain and increase foreign aid from the United States and Europe, which Pérez Molina needs for combating drug-related violence (prior post), isn’t clear.